Disability: Stroke, wheelchair user, chronic illness. Lam was strangled to death by her husband. Perpetrator: Wong Kwok-man (Husband), arrested on suspicion of murder. Disability: Cerebral palsy (Quadriplegic, non-verbal). 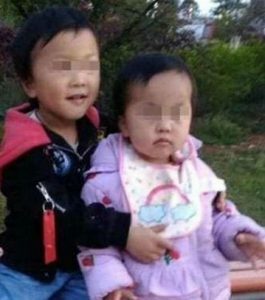 Li’s mother thought he would have a tough life after she died; so she killed him by drugging him with sleeping pills and then strangling him. She had other options, but rejected them all. Li could also have gone to stay with his older brother, but his mother didn’t want to burden her other son. And he was eligible for admission to a welfare home, but she preferred to kill him because she did not think they could care for him as well as she did. Perpetrator: Ms. Huang (Mother), found guilty of intentional homicide, given a three-year suspended sentence. Fung Shuk-ying’s husband strangled her with a belt in a murder-suicide. Location: Tuen Mun, Hong Kong, China. Ms. Tsang’s husband cut her throat, killing her; then he jumped from their high-rise apartment window. Sze-ming’s father killed him and kept the body in his apartment. About five or six days later, he killed himself and Sze-ming’s eight-year-old brother Sze-ho by filling the apartment with charcoal smoke.